Two different styles allows for flexibility of use – Closed in style fits up to an A4 binder in height, while the half enclosed style accommodates larger sized items. 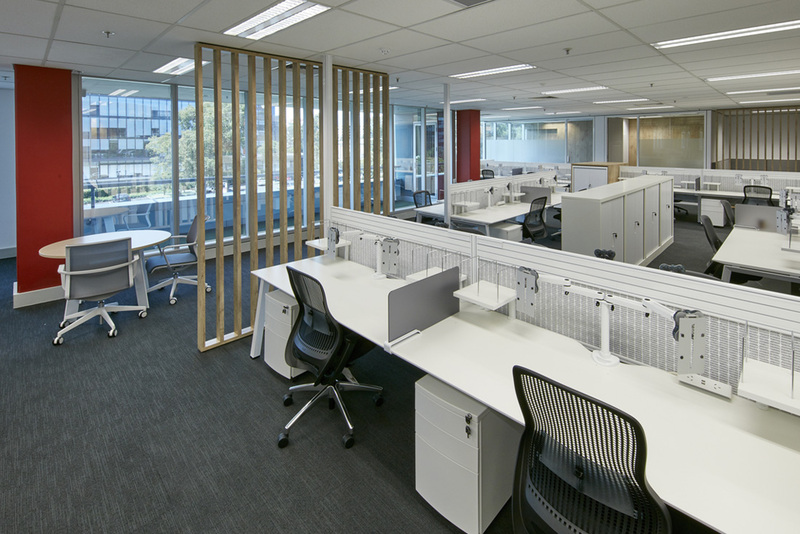 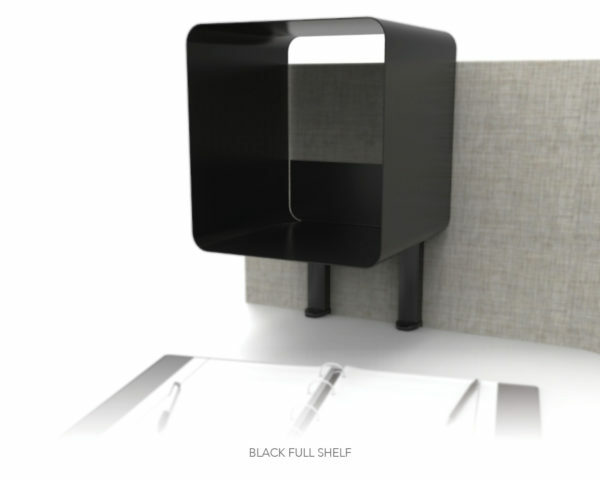 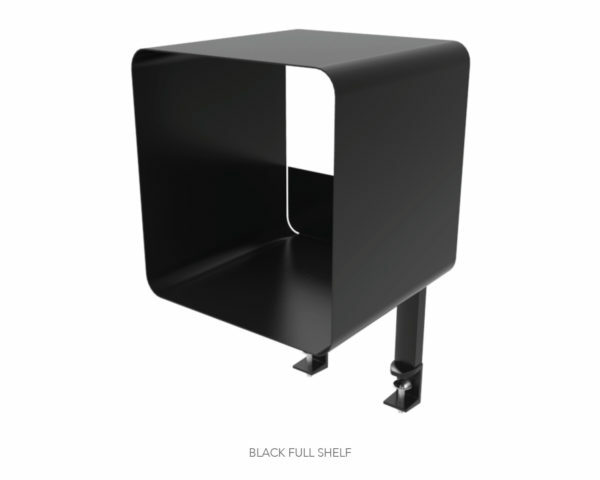 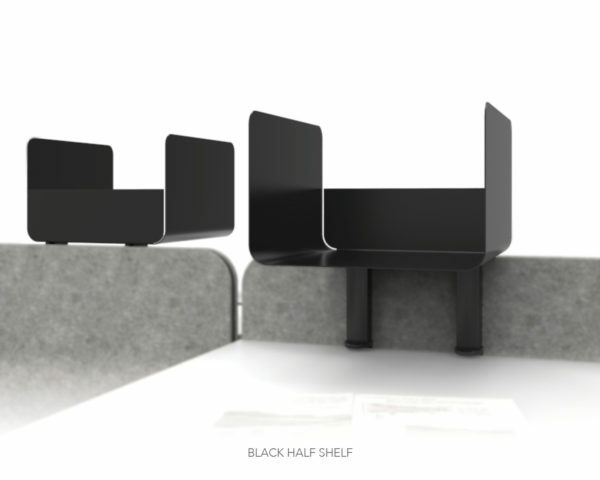 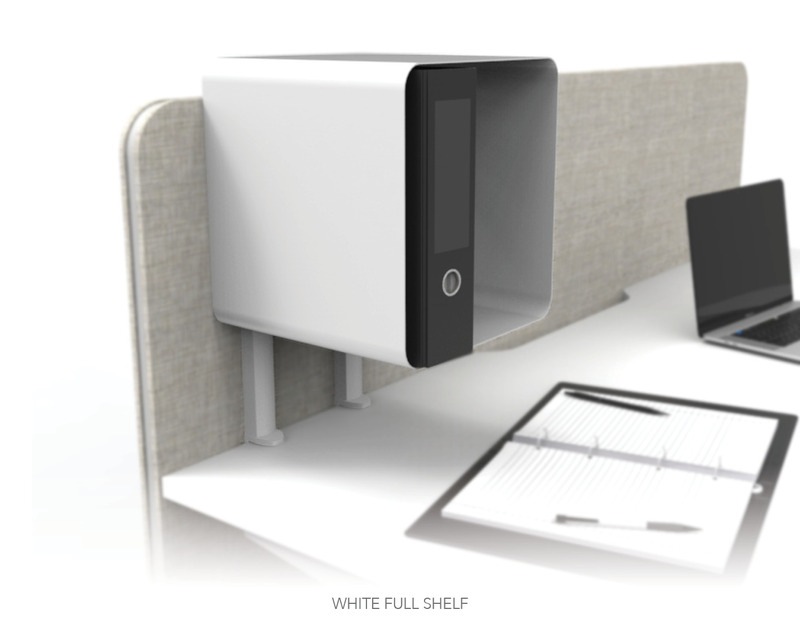 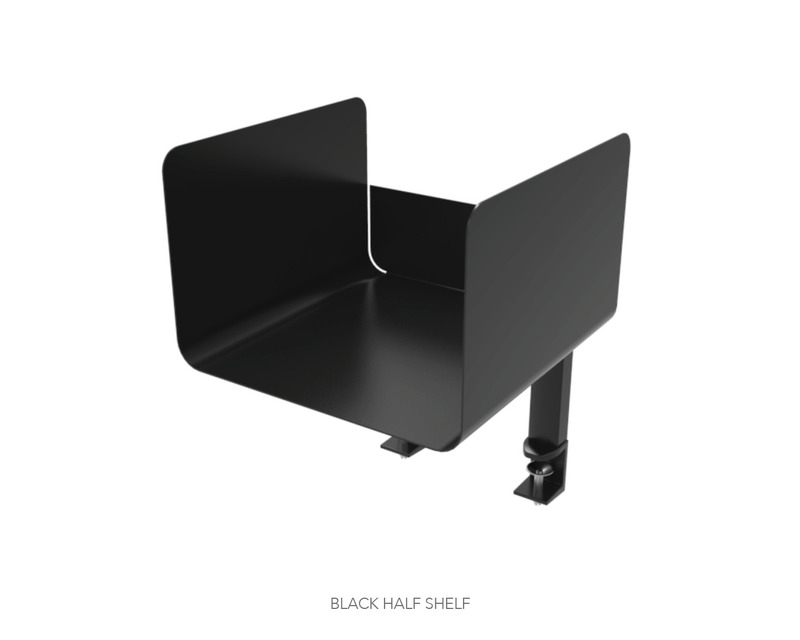 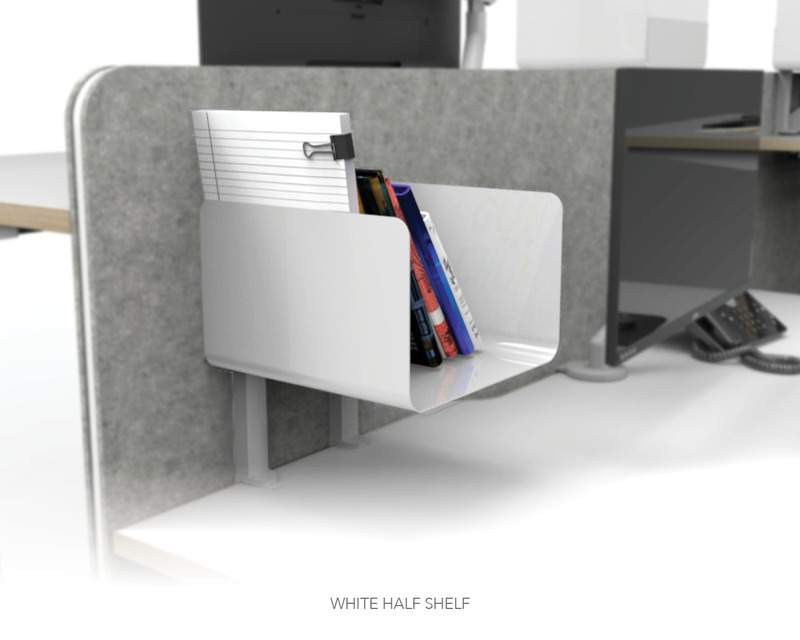 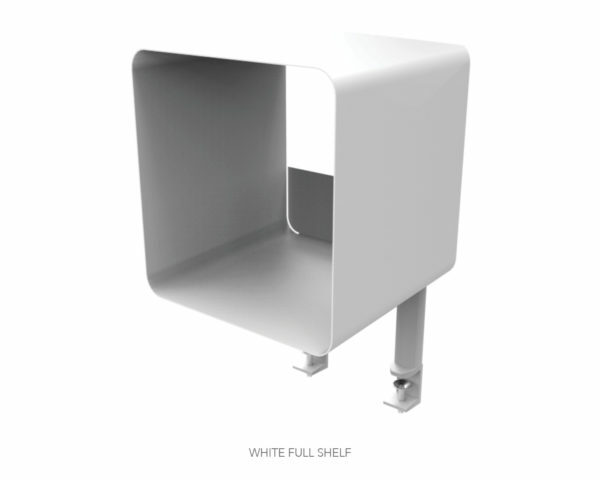 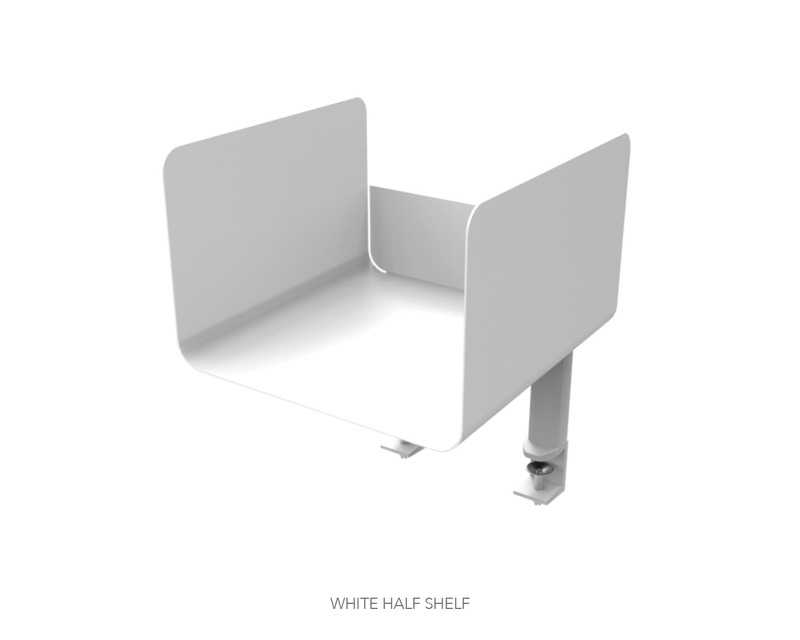 AWM Desk mounted shelves allow for the user to gain additional storage for their workspace on either a fixed or height adjustable desk. 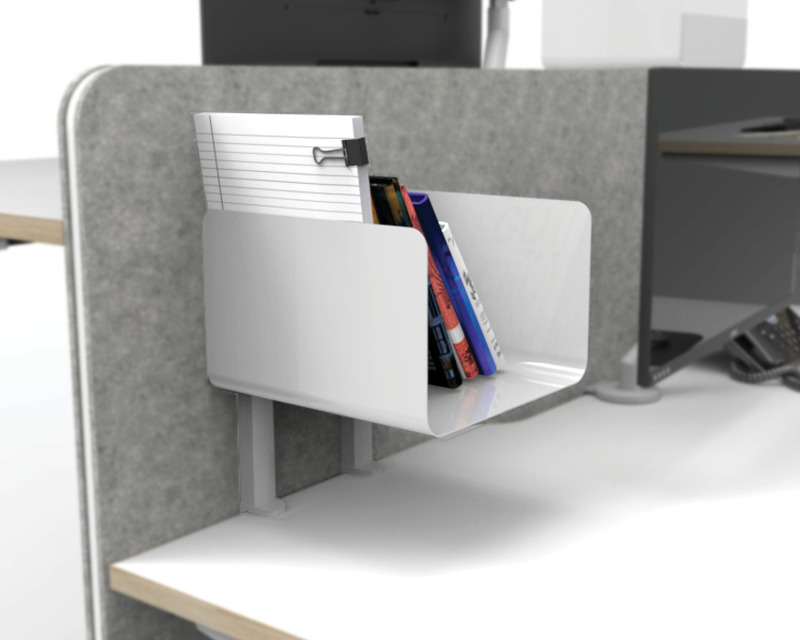 The steel frame and aluminium mounts means that the shelves are an easy and practical way to bring some colour and personality into the office.